Whooping Cough Today. What The? Who could argue against that? The thought of a tiny baby literally coughing itself to death is just awful. The ready availability of vaccines for this and other deadly diseases means that some of the deadliest diseases are no longer a threat. So why is it that in the last three weeks two families in our town have been infected with whooping cough with at least one member in each family seriously ill? How can this even be a thing in 2019? As far as I know both families are fully immunised, and don’t have much direct contact. Which means that there is at least one other family carrying the bacteria in town. As I understand it, in Australia immunisation rates are about 95%. The whooping cough vaccine gives about 80% protection, and if you do come down with the disease it is generally a less severe condition. In Narrabri there are likely to be about 350 people who are not immunised. The effectiveness of the vaccine relies on everyone in a community being immunised so that the chances of being exposed to the disease is close to zero. But if the rates of vaccination fall, then everyone in the community is put at risk. At particular risk then are babies who are yet to be sufficiently old to receive the vaccination. In recent years, pregnant women often receive a booster to pass on immunity to their child. Some people refuse to immunise their children for all kinds of reasons, most of them not based in fact. There are rare side effects from some of these vaccines, and sometimes these are exaggerated in certain groups. Whooping cough is still a wicked thing. Sadly it is still a real thing. The Australian Government is introducing a digital health record where all of your health information is stored in one location accessible to all health professionals. On the face of it, this is a great idea. Hospitals, GPs and specialists will be able to see the full story of your health. My mother-in-law in her later years required a huge number of medications and was under the care of several specialists who did not talk to each other. Consequently she sometimes became ill from the interactions of the drugs with each other. The My Health Record would have prevented suffering for her and for many other people with chronic health conditions. But the Government could not leave it there as a service to individual citizens and to the health service. No, they had to use it as a backdoor to spy on our personal data. So numerous agencies have access to your health records regardless of their need to provide health services. Agencies which can access personal health records include The Australian Tax Office, Centrelink, State and Territory Police Forces, the various crime commissions, the Agency that runs the NDIS and many more. I am not a huge privacy nut. If you want to know about my haemorrhoid, my blood pressure (controlled nicely by medication), or the prostate infection I had 20 or so years ago, I will happily tell you. That’s my choice. I will not have nosy public servants having access to my information without my consent, just because they have an interest or they think I might be defrauding them. If they think a crime may be committed, for example by people on sickness benefits, then they should gather evidence and apply for a warrant. This is yet another “Big Brother” exercise by the Government under the guise of helping the people. If they rescind the ability of agencies that are not health related, then I will be in it. The Federal Government announced on August 1st that it will legislate to ensure that health records can only be accessed by other agencies after obtaining a court warrant. A win for privacy! After the legislation is passed, I will be opting in. 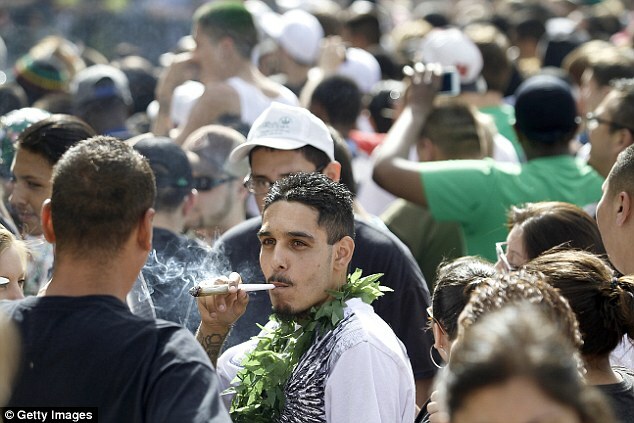 A major study now calls into question claims about the safety of marijuana for long term use. While I can see that it might be useful for some medical conditions, it is foolish to pretend that it is a relatively benign recretional drug.